A plaque I commissioned from Melissa Bridgman. As soon as the porch is finished it will find its permanent home. 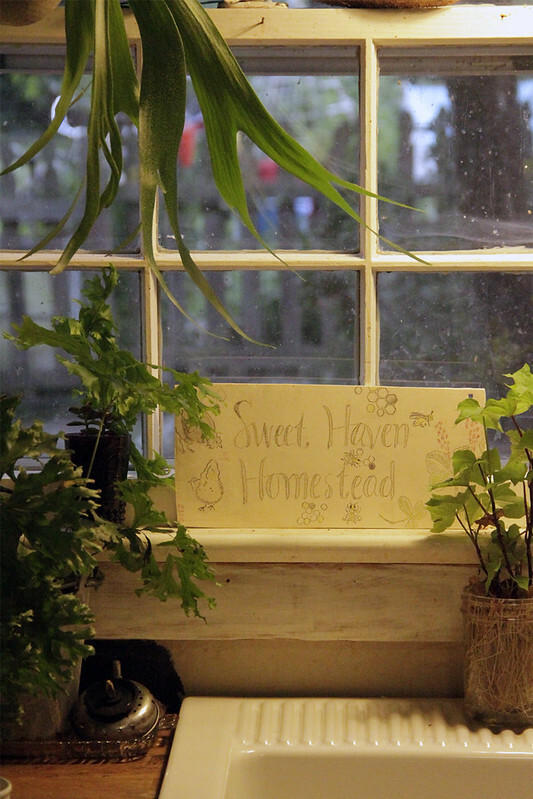 In the meantime, I love seeing it in our kitchen window. 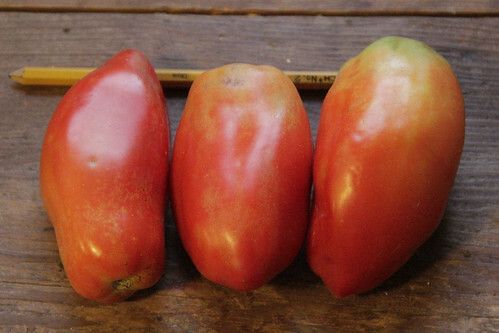 Long Tom paste tomatoes (pencil for scale): Delicious, giant, and virtually seedless. 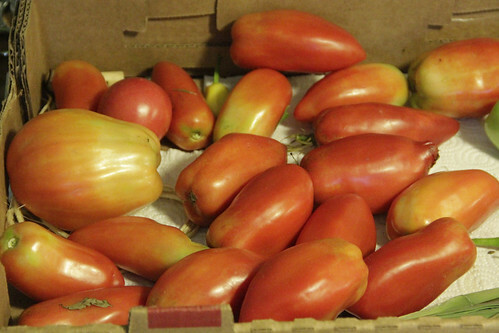 I'm in love with these tomatoes, the plants are dripping with tomatoes. The harvest (below) is one day's harvest from 3 plants. I have to pick them just slightly earlier than ripe or the rabbits will taste every single one.